Beer Street was a development started along the very edge of the municipal boundary in the late 1890s by local businessman, town councillor and local 'character' Levi Beer. He, of course, named Beer Street after himself. He was also responsible for building Orchard Street, named after Daniell's Orchard on which it was built. Beer Street was built on two former fields called Leache's Mead (Parcel 312) and Priddle's Mead (Parcel 611). The word 'mead' comes from the Old English 'maed'. Before grass seeds were obtainable this was the only hay land of the community. It usually consisted of land near streams (the western boundary of both Leache's Mead and Priddle's Mead was the stream that marked the boundary with the parish of Preston Plucknett) since that was the only kind of land on which hay grew in any quantity. The 1846 Tithe Apportionment noted that Leache's Mead was owned by Edwin Newman, a Yeovil solicitor, and was occupied by John Lush Cayme. The Apportionment recorded that Leache's Mead measured 1a 1r 22p (for details on historic land measurement - ie acres, roods and perches - click here) and was used as meadow - signifying grassland mown annually in the summer for making hay. Levi Beer was fervently against party politics; he was locally famous for his election slogans such as "Don't vote for water, vote for Beer" and, on standing for election in Queen Victoria's Jubilee Year of 1887, his election slogan was "No cold-water Jubilee - vote for Beer". 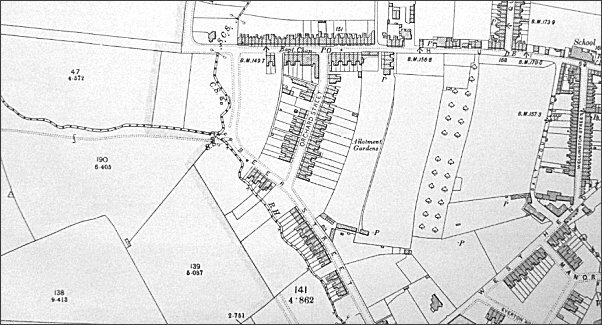 Beer Street appears on the 1901 Ordnance Survey (shown below) but mostly shown as a dotted line indicating that it was under construction with only scattered housing along its west side. At this time Orchard Street was also under construction and nearing completion but Westland Road, of course, didn’t exist. As a consequence Beer Street continued north to join up with Huish which ended at the junction with Grove Avenue with fields beyond. This northern section of Beer Street, between Orchard Street and Huish was later to become West Street. The 1901 Ordnance Survey showing Beer Street running from its junction with Huish at top to West Hendford, just off the bottom of the map. 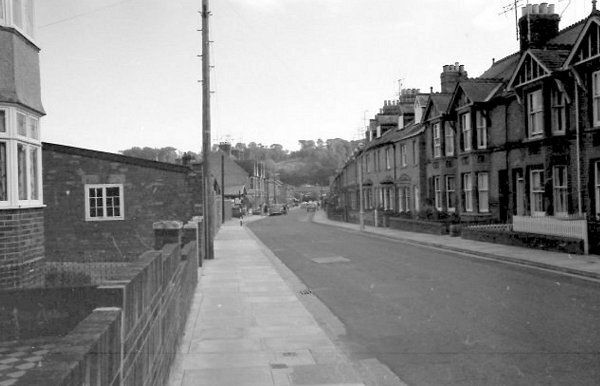 Beer Street seen from the junction with Orchard Street / Westland Road in the mid-1960s. Mr Holland's shop at extreme left. This photograph was taken at the same time as the one above but just a few yards further into Beer Street itself. Outside Harold Robins' shop on Wednesday 9 July 1958. 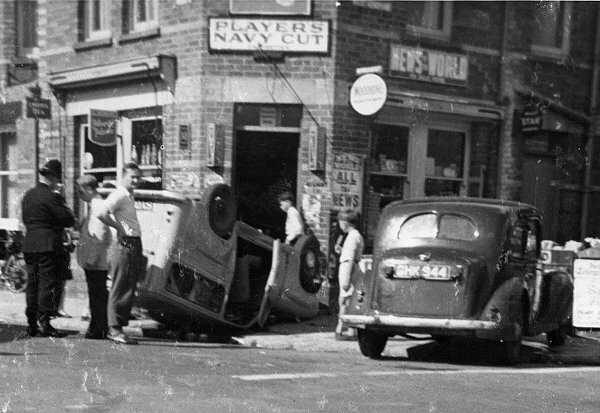 The West Hendford / Beer Street / Horsey Lane crossroads was a bit of a racetrack at the time and this car ended up on its roof outside the shop. The driver of the upturned vehicle was Peter Unwin (then a teacher at Yeovil School) and his passenger was another teacher, Miss Whelan, who taught music. The car was driven by Mr R Cobner of 15 Kingston. Tony Robins recalled "There was petrol pouring out of the car and that bloke was standing there with a lighted cigarette in his hand!" 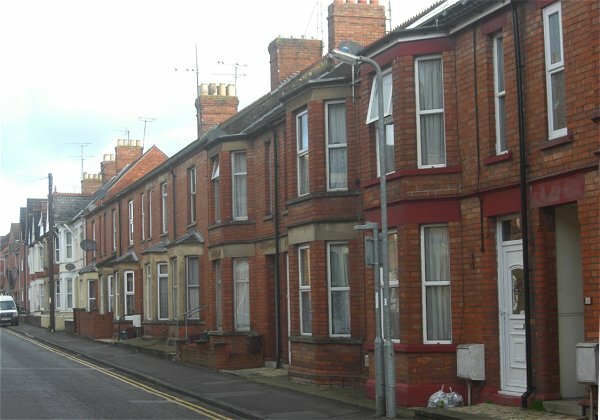 Houses in Beer Street photographed in 2013. 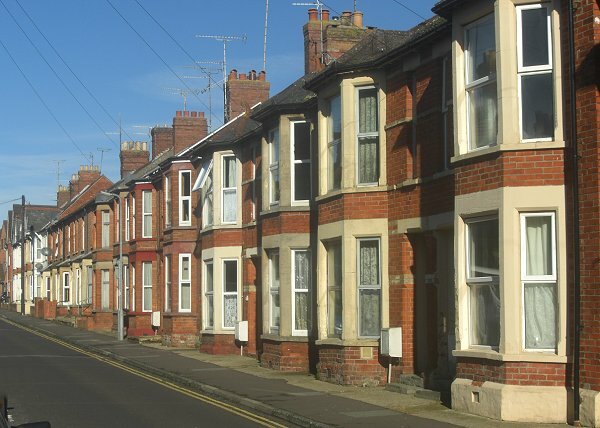 .... and Beer Street houses on the other side of the road, again photographed in 2013.